This excerpt from the new book about IDG founder Patrick J. McGovern looks at how McGovern got his start and created a global publishing empire that included Computerworld magazine — and the lessons he learned on the way up. Editor's note: More than 50 years ago, at the dawn of the computer age, Patrick J. McGovern founded International Data Corp., and, later, International Data Group (the parent company of Computerworld, which he started in 1967). From that small beginning, McGovern, who passed away in 2014, would go on to create a global publishing and data empire. That empire eventually grew to include some 300 publications in 97 countries, 460 websites and 700 events focused on all aspects of the IT industry. 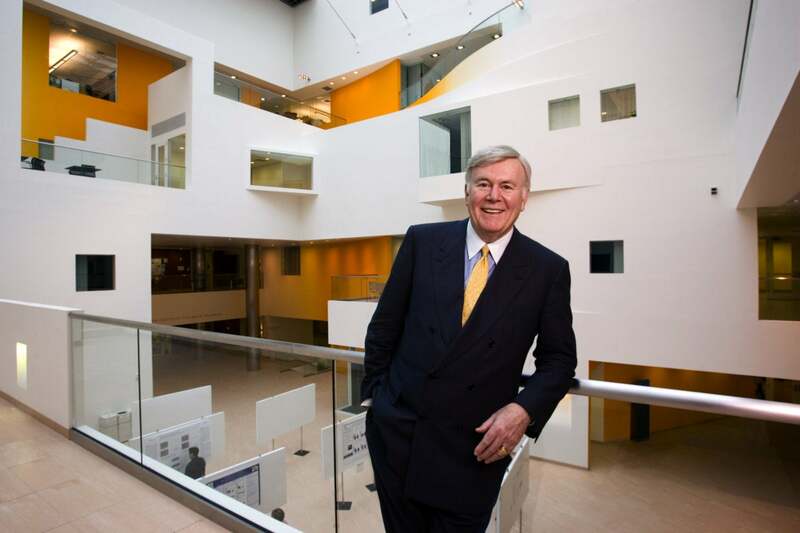 And in 2000 it allowed McGovern to work with MIT to create the McGovern Institute for Brain Research. Patrick McGovern at the McGovern Institute for Brain Research at MIT. It was a cold February day trip to New York City in 1964 that brought everything into sharp focus. McGovern took the train to Manhattan for an RCA product introduction in the morning and an interview with Univac CEO Lou Rader in the afternoon. RCA had introduced a new magnetic card memory system, and McGovern was underwhelmed. Another company had introduced something similar six months earlier, and its sales were pitiful. Why is RCA going down the same road? he wondered. When he questioned the RCA engineers about the intended application for the product, they responded, “Oh, we haven’t thought about an application. We thought this would be the most clever random access memory method available.” In other words, throw a product into the marketplace and hope demand emerges. Even in the earliest days of the computer industry, this illogical strategy was a head-scratcher for McGovern. When he met Rader, he posed a question: Why are so many companies doing all this R&D and making products that don’t have an identifiable need in the market? Most young journalists would have dismissed the notion of taking on such an enterprise alone. But McGovern couldn’t wait to try out the concept and make it real. On the train, he wrote a project proposal and a possible questionnaire to send out. And he decided this new enterprise needed a name. Ever the pragmatist, he took out some index cards, wrote down the elements of a possible name using words like “data,” “national,” “computer,” “systems,” and more. He then shuffled the cards and picked three. Up came “international,” “data,” and “corporation.” In that moment, International Data Corporation, or IDC, was born. Geographically, “international” extended no further than Newton, Massachusetts, but McGovern was unabashed. Suddenly, what he had thought of as a flyer had turned serious. His law school friend helped him with the process of incorporating his new venture. He asked a few friends to invest and join his board, but only his sister, Laurette, and his research assistant and future wife, Susan Sykes (whom he married in September 1964), had enough confidence to do so. They both invested $10 for 10 shares, and became, along with McGovern, the original board. He registered the company, deposited the checks, and decided he needed some base capital to get things moving, so he sold his car for $5,000. Looking back, he was immensely proud of the fact that the $10 investments from his wife and sister were eventually worth millions. And because the nascent venture began to generate cash so quickly, he never had to touch the original $5,000 base capital. It would be satisfying for business folklore to claim that McGovern knew he had a tiger by the tail and quit his day job. But he stayed on as an editor at Computers and Automation for three more years, mixing his editorial duties with the burgeoning demands of his start-up venture. Eventually Ed Berkeley became annoyed at his young protégé’s divided loyalties, and in 1967, McGovern realized that IDC required his full- time attention. McGovern had already learned a valuable business lesson: If you listen to what people want and respond accordingly, you will do very well. If you focus only on what you’d like to do and try to force it into the marketplace, the risk of failure is high. In 1967, the computer industry was roiling with portent. Corporate customers were not only embracing computers in fast-growing numbers, but an entire new industry sector, built upon smaller, cheaper, powerful systems called minicomputers, was putting technology into the hands of end users. As products proliferated in all directions and the future of computing began to crystallize for a growing number of bright, talented entrepreneurs in Silicon Valley and Boston, the thirst for industry insight and data was insatiable. It was a demand Pat McGovern was well positioned to meet. McGovern’s departure from Computers and Automation was little more than a footnote to his epiphany of 1967. That year, as he embarked full-time on his solo venture, he started his first, and perhaps most important publication, Computerworld. Since he started IDC in 1964, he had been publishing a newsletter called The EDP Industry and Market Report, known as The Gray Sheet. For $49 a year, subscribers received detailed semimonthly reports on what the major computers makers like IBM, Burroughs, Univac, and Honeywell were selling. But McGovern foresaw a much bigger publishing opportunity. A flourishing industry that embraced the research from IDC now required more. Most data center managers, faced with multimillion-dollar technology purchasing requirements, remained dependent on advertising literature from the computer makers— and they didn’t appreciate the obvious marketing effort that offered little news, credible product data, or industry insight. What they weren’t getting was any knowledge about what their colleagues in competing companies and industries were experiencing. Were their challenges and pain points similar? Did others have the same issues with product reliability? How were they training their people? There was no reliable source for answers to these questions. In fact, there existed just one publication, a monthly magazine called Datamation, started in 1957 when corporate computing was in its infancy. McGovern envisioned something far more dynamic and immediate. Computerworld would be a weekly newspaper designed to cover the fast-changing industry with a staff of editors and reporters who would blanket the marketplace and write high-quality stories about both vendors and end users. Like any credible newspaper, Computerworld would report the bad news along with the good, and early headlines such as “Disk Drive Crashes, 1,000 Records Destroyed at Bank” or “Hospital Data System Loses All Its Data” shook up an industry unused to such candor and timely information. Unlike Datamation and other ad-driven magazines starting to emerge within the industry, Computerworld would sell paid subscriptions along with advertising. In an environment where trade publications were all built upon “controlled circulation” or unpaid subscribers, McGovern decided to use Lou Rader’s formula: if you make a product appear valuable, it will have instant credibility and people will pay for it. By charging a subscription fee, not only would Computerworld become profitable quickly, it would have the cachet and credibility that rapidly made it the bible of the information technology industry. 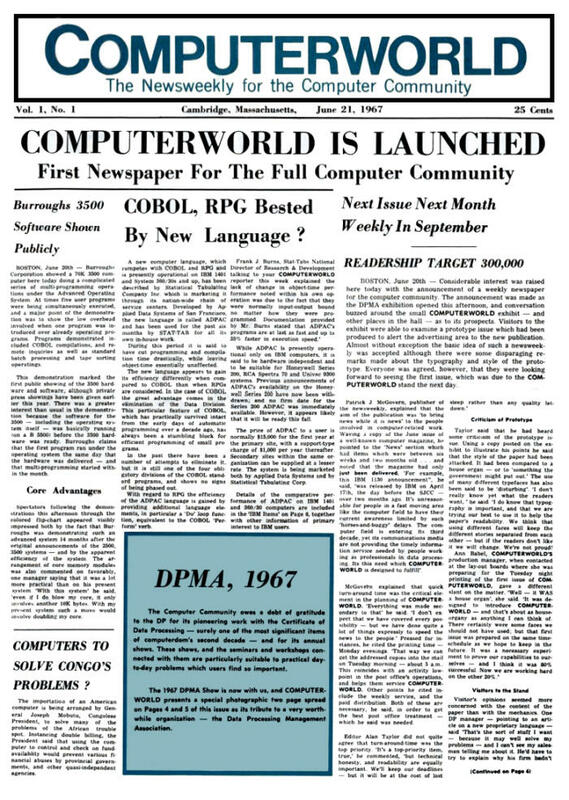 Computerworld, all 12 pages of it, debuted in June 1967, at a computer expo in Boston. Within two weeks, McGovern had 20,000 paid subscribers on board. In short order, the publication began to grow beyond his wildest dreams. His passion for communicating information that could change people’s lives had found its essential building block. Computerworld marked the beginning of a frenzied period of growth and expansion that spawned a long list of leadership challenges that McGovern would stare down throughout the next five decades. 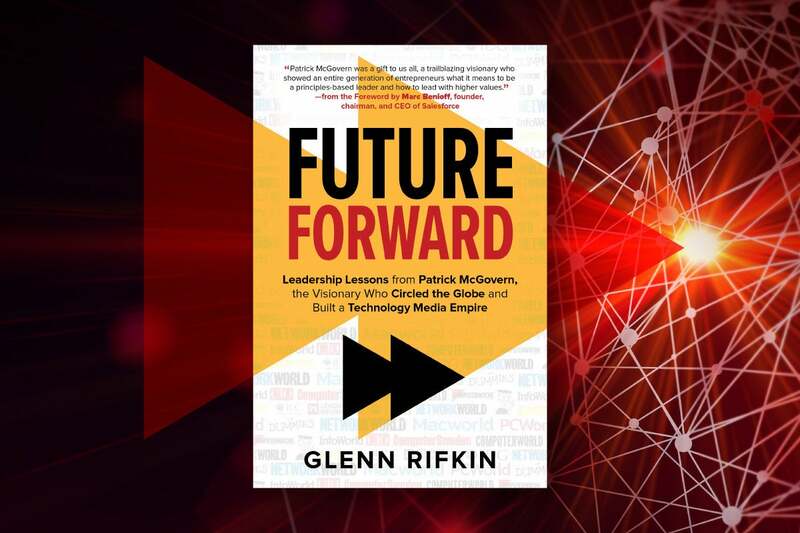 In an industry bursting with brilliant young minds and a tsunami of new ideas that would change the world, high-quality leadership, that rare but indispensable ingredient, would mark the key difference between the winners and losers.